February 2013 – Tools for strategic and strong-minded thinkers! I realized (while writing the prior article, Could Strategy Be as Simple as This?) that the factor of “advantage” was the most interesting of the three strategy components (objective and scope being the other two). Advantage refers to position or potential versus another. What makes advantage interesting as a factor of strategy? First, my experience is that many strategists seldom think about advantage. Too often, strategists assume that their job is done when they establish goals and objectives. However, a competitive reaction will always occur. Second, the idea of competitive rivalry creates the tension that makes for a good story; and stories are enormously powerful leadership tools. Third, creative and innovative ideas gain much of their power and impact simply because they address unrecognized issues. They are pleasant surprises. This leads to a powerful question that provokes strategic thinking: Who do you want as a future competitor? 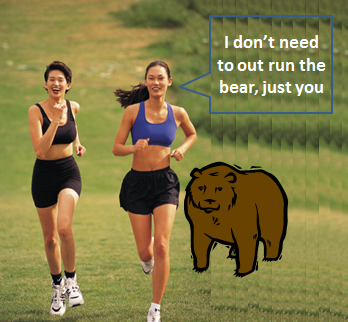 As you answer the question, you imagine the evolution of your strengths and weaknesses versus a new set of competitors. As an example of thinking about future competitors, I was part of a business development team that was leading our venture into an entirely new market, where we would no longer be competing against “mom and pop” enterprises, but would be facing well-funded and professionally-managed corporations. We constantly reminded ourselves that we would need processes and intellectual assets to be able to prevail against them – even though the competitive face-off was at least a year away. An Aside: Why is being interesting so interesting? The key word in this stream of thought is interesting. Strategic thinkers know that people will want to engage with someone whose ideas are eye-opening in some way. The further exploration of those ideas provides camaraderie, mental stimulation, and open up the opportunity for economic benefit. Here is an interesting point that I learned from the management guru, Tom Peters: If you want to innovate, look to your most interesting customers. Interesting customers are typically NOT your biggest customers. Your interesting customers are trying to solve novel problems. As Eric Von Hipple – the guru of lead user research – suggests, develop and provide tool kits and search out those users who invent solutions to problems. The question about “interestingness” is one that a curious person would ask. Because they are curious, strategic thinkers add value to the strategic planning process. Instead of approaching strategy with a checklist mentality of completing each prescribed step and moving on to the next one, they stay alert for opportunities. Do you agree that curiosity is an important characteristic of the strategic thinker? Could Strategy Be As Simple As This? Strategic thinking is purposeful, and one purpose is to spark strategic insights. These insights make it easier to make decisions. This article’s proposition is that strategy involves three choices by the strategist: choice of scope, choice of objective, and choice of advantage. These choices do not constitute strategy, but answering them puts you on the course to actually having a strategy and not just a list of goals and initiatives. What is the scope of our venture? Scope is a term used to mean what is “in” and “out” of consideration. In other words, what is the definition of the venture? It could refer to the firm, the program, the team, or the individual. Are we thinking big, or small? Where is our geographic domain? Local, regional, expatriate, or global? When we think about the venture as a “solution provider,” to what extent do we want to produce the solution, sell the solution, and service the solution? Stated differently, what part of the value chain do we want to operate in? Are there unexploited or under-exploited opportunities to capture value? Is there anything that the venture explicitly won’t do? What objective(s) do we choose to pursue? The strategist first considers the circumstances – diagnosis – and selects an objective that best fits her diagnosis of the situation. Next, they choose an objective that is most sensible for the stakeholders. How do we think about success? If we commit to a stretch goal, can we acquire the resources that will get us to the goal? Critical thinking is a component of strategic thinking. Activate the logic to see if the objective is sensible. For example, I once worked for a CEO said, “We grew revenues 35% last year, so our goal for next year is 35%.” That probably qualifies as a BHAG: a Big Hairy Audacious Goal. BHAGs can be be useful if they are based on a logic and commitment to apply resources. They can be discouraging if there is no underlying design. Who or what are we trying to gain advantage over? Most people have heard this joke. Sometimes it is only a small advantage that allows our success. But nevertheless, it is an advantage. Strategy is about leveraging a small advantage – and combining it with other advantages – so as to gain a more significant advantage. Who are the competitors and where is their focus and power? What alternatives are available (including the “do nothing” alternative)? Is the identified advantage actually important to the customer (or other important stakeholders)? As it pursues its objectives, the venture needs to provide something of value to its stakeholders. There are always competitive alternatives and substitutes available to these stakeholders; for customers, its other product/service offerings; for not-for-profits, it is a competition for attention for funding or policy. These three decisions do not comprise a complete definition of strategy, but they do provide a useful framing perspective. Insights are often simple ideas that tell us about the essence of something. As you consider your answers, consider how you would blend them together into a problem-solving or opportunity-capturing design. Do you agree that this is a simple way to think about strategy? How can a strategist apply the questions? Strategic thinking is an individual activity that is a style of thinking. It is not an organizational process or activity for the basic reason that people do not share the same brain. Strategic planning receives much criticism. In many organizations, strategic planning has become highly structured; a groan-inducing set of templates that yield an artifact called the “strategic plan.” Often the reason for that is that strategy becomes tied to budgeting, and the words that comprise the “strategy” becomes the documented rationale for the proposed budget. In too many organizations, strategic planning exists solely as an annually-repeating bureaucratic process of creating artifacts, discussing them, and filing things away. This bureaucratic approach is further magnified by use of pre-structured templates. A common response to the templates is that practitioners skip the analysis by writing down the first thing that comes to their mind. Analysis is mentally exhausting and they are busy, and no one really notices what they write. Yet, strategic planning is also supported and lauded. It certainly receives important resources. Strategic planning can be done well or it can be done poorly. Strategic thinking can be done well or it can be done poorly. We don’t need to replace strategic planning with strategic thinking, we need to focus on the unique value adds of each. with the advantages of strategic planning to maximize the contributions of both. Strategic thinkers imagine the “what ifs” and the future state. They contrast the desired future with the current state. This information can is often captured (recorded) in strategic artifacts as situational analysis and vision statements. Strategic thinkers often generate imaginative and creative problem solutions. The solutions would probably be recorded in the documents as strategies, or guiding policies. Strategic thinking is opportunistic, and SWOT-type analysis includes capturing and recording opportunities. I saw the value when I worked with volunteer leaders of a Project Management Institute (PMI) component group. PMI Headquarters required strategic plans and measures. These volunteer leaders were primarily trained in science or engineering and were accustomed to being provided a “scope” to which the would develop execution plans. They thought of planning as an exercise create documents that answered explicit questions. Strategy is ambiguous and working with ambiguity put the people out of their comfort zone. They struggled (and complained) but they learned. Encourage individuals to reflect and think strategically, with the purpose of developing relevant and meaningful insights. Allocate time and encourage people to work individually, at least for a while. 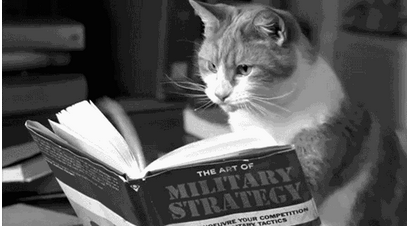 Strategic thinking is a somewhat solitary and reflective activity. Discourage the sole reliance on formal written documents and templates. Encourage people to have conversations where they share insights with each other. Encourage people at all levels of the organization to participate in contributing to strategy. 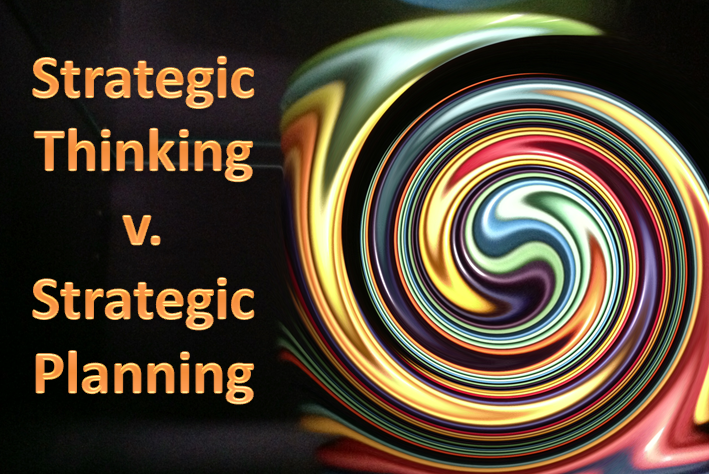 Do you agree that strategic thinking and strategic planning are complementary?